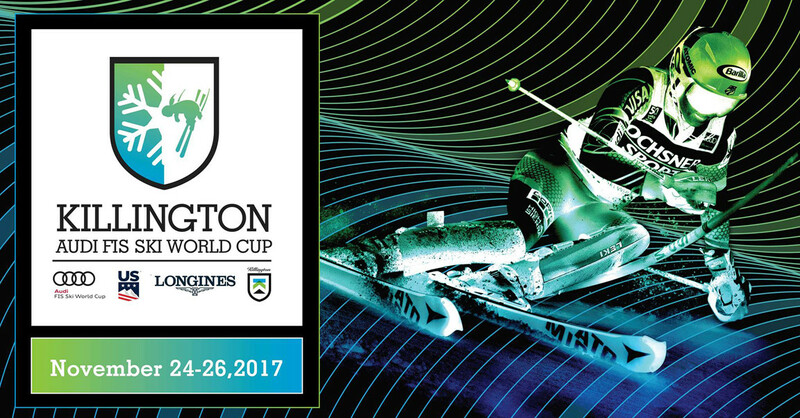 Don't Miss the 2017 Alpine Ski World Cup at Killington! Don’t Miss the 2017 Alpine Ski World Cup at Killington! The excitement returns to Killington this Thanksgiving when they once again host the Alpine Ski World Cup. After the the rousing success of the 2016 event, which attracted some 30,000 spectators, everyone is very excited to see what this year brings. November 24th through the 26th, 2017. Some of the best ski racers in the world will again be carving turns down Superstar at Killington Resort and the area is bracing for all the crowds and excitement. The Audi FIS Women’s Ski World Cup will include the women’s giant slalom and slalom races. Events like this are a great way to see the very best female, technical alpine skiers in the world in action. U.S. Ski Team superstars Julia Mancuso, Mikaela Shiffrin, and Lindsey Vonn are all expected to compete. Last year’s Alpine Ski World Cup at Killington was the first of its kind in New England in 25 years. It had been 38 years since Vermont had the honor. Now it seems as if we’ll be hosting the Alpine Ski World Cup through 2018, which is very very exciting, indeed. Tickets went on sale in early September, with Super Fan, VIP, and General Grandstand tickets selling out very quickly. If you didn’t get your tickets yet, Premier Grandstand tickets remain available (as of this writing) and, of course, General Admission is free. While General Admission isn’t as fancy as the other options, it still gets you in to see the race. Free viewing areas are located all around the race course and the base of the Superstar Trail. Two video boards will also provide race coverage, so you’ll be able to follow the action. Killington will also host a lively festival throughout the weekend, including two free concerts. Troy Ramey will appear on stage Friday night, followed by an athlete presentation. Saturday will see Dispatch take the stage after the Giant Slalom awards ceremony. Visit www.killington.com or the event on Facebook for more details. Killington is less than a half-hour’s drive from our Vermont B&B. Deer Brook Inn is a stylish, 1820’s farmhouse inn located in picturesque Woodstock, VT. Our convenient, central location provides easy access to the areas’ most popular attractions. Killington and Okemo ski areas, the Appalachian trail, shops, galleries, and much more. Four casually elegant and spacious guest rooms and suites will have you wishing you never had to leave. Book your stay at Deer Brook Inn today!